A headphone amplifier for high demands. The pcb has two layers. It's an unpopulated pcb. As a service you can have the TPA6120a soldered by me. Room for good coupling caps (if you must or like). 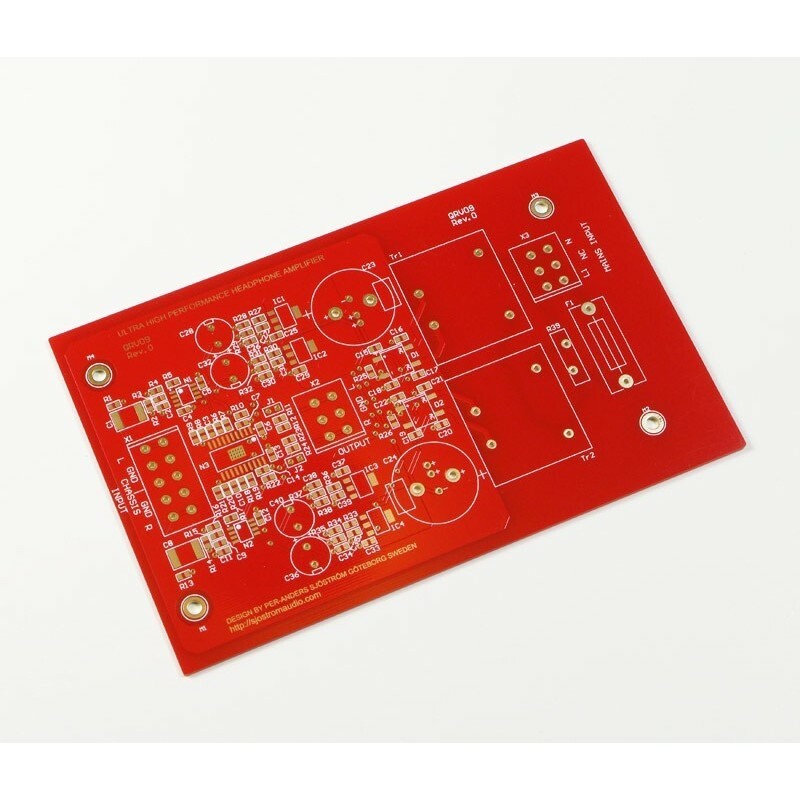 High speed and high performance SMD current feedback amp as output stage. 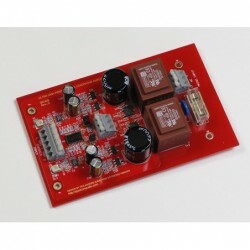 High quality power supply with large smoothing caps and transformers on the pcb. Separate voltage regulators for each channel.